NOS Sprague 160P capacitors, individually sealed in original factory-sealed packaging. These are the capacitors that were used in Gibson Les Pauls, Les Paul Juniors, ES-335s and other Gibson models from the 1960s through the early 1970s. 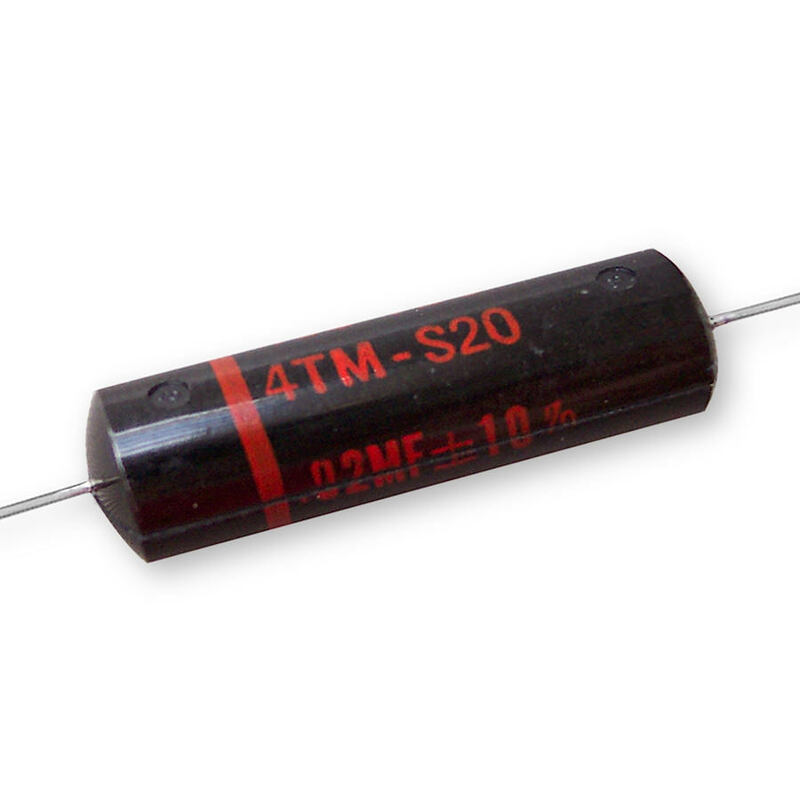 These capacitors were also used in countless guitar amplifiers, jukeboxes, and other pieces of musical equipment. These caps feature the same Mylar and paper construction as the famed Bumble Bee caps. Full original 2"+ lead lengths. Sprague catalog no. 4TM-S20. 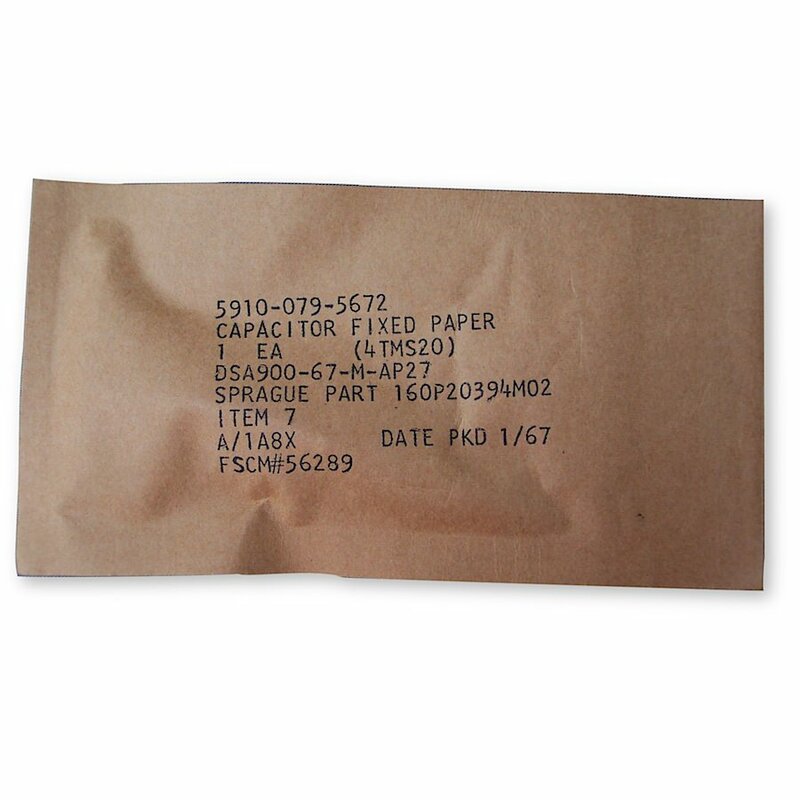 630V paper and oil capacitors. "Chiclet" shape takes up less space in guitar control cavity. New manufacture Tone Factory Vitamin Q non-inductive oil & paper caps for electric guitar. Taihan "Black Bee" paper & oil capacitor. Ever elusive, the PVC 411 polyester film and foil orange drop capacitors are considered by many to be more "musical" sounding than the more common Orange Drop 715P and 716P capacitors available today and are becoming more and more difficult to find. Unlike many of the other currently available Orange Drops, the PVC411s were originally designed for coupling and bypass. Fantastic tone. While they last. .001 µF cap for treble bleed circuit, typically used on Fender® style guitars to maintain treble balance when volume control is turned down. Stranded copper, pre-tinned for faster, easier soldering. Available in black or white.